Starting plants from seed is a great, inexpensive way to get exactly the plant varieties you want to grow. Indoor seed starting requires the same basic elements as growing plants outdoors: light, seeds, soil, water, and food. Let's take a look at what each involves and what to do once your seeds sprout. The hardest element to provide indoors is light. It is possible to start seeds on a windowsill or in a room that receives a full day (at least 8 hours) of bright light, but that's hard to come by in winter. Most gardeners will need to supplement their seedling lighting with special plant or grow lights that simulate the full spectrum of the sun. Even then, the lights will need to be left on for 12 - 15 hours per day, for your seedlings to grow as strong and healthy as they would in true sunlight. Another difficult aspect of starting seeds is deciding what seeds to grow. There are so many choices, it's tempting to want to try them all. But keep in mind that as your seedlings grow, they will need to be moved into larger pots that will take up even more space. So choose wisely. Buy seeds of plants you're certain you can't find at local garden centers or plants that you want to grow in large quantities inexpensively. There are dozens of seed catalogs available online. You might want to join forces with other seed starters and arrange a seed swap to grow and trade different varieties. We are always cautioned to use a good potting soil, but what difference does it make, really? Well, potting soil very often has no soil in it at all. It's a mix of peat, vermiculite and other fluffy matter that has the wonderful properties of being both water retentive and well-draining because it doesn't pack down like garden soil. It's also free of diseases and insects that may be over-wintering in your garden soil. Of course, it also doesn't have any nutrients, so you'll need to add those. When to start seeds indoors is always a bit of a guess. First, you'll need to know when your last expected frost date is. Then check your seed packet to see how many weeks growth are required before setting outdoors. Count back that many weeks from your last expected frost date, to get an approximate date for starting those seeds. It's approximate because weather does not always live up to predictions, but you'll be in the ballpark. Different plants will require different timing, so use a calendar to mark down when to start what. Planting the seeds is the easy and fun part. Starting seeds indoors is no different than starting seeds outdoors. Maintaining seedling indoors will take a bit more diligence though since you can't rely on rain and sun to do the work for you, and your seedlings will need the right nutrients to get off to a good start. But the effort is enjoyable, especially if you are snowbound or suffering from cabin fever. While you are starting plants from seed, you might want to consider starting some plants from cuttings. You could create more foliage plants from your existing houseplants. And if you brought cuttings of bedding plants indoors last fall, chances are good they have grown large enough to take even more cuttings. If you saved flower seeds last fall to toss directly in the garden this spring, it might be time to put them out now. Some plants' seeds need a period of chilling or even freezing before they will germinate. This includes a lot of annual flowers that self-sow.So when to seed outdoors depends on your growing zone. (And if you didn't save seeds of your favorite varieties, make plans to harvest some seed pods this year. It's easy and helps guarantee your favorites will come back, no matter what surprises the winter weather brings.) 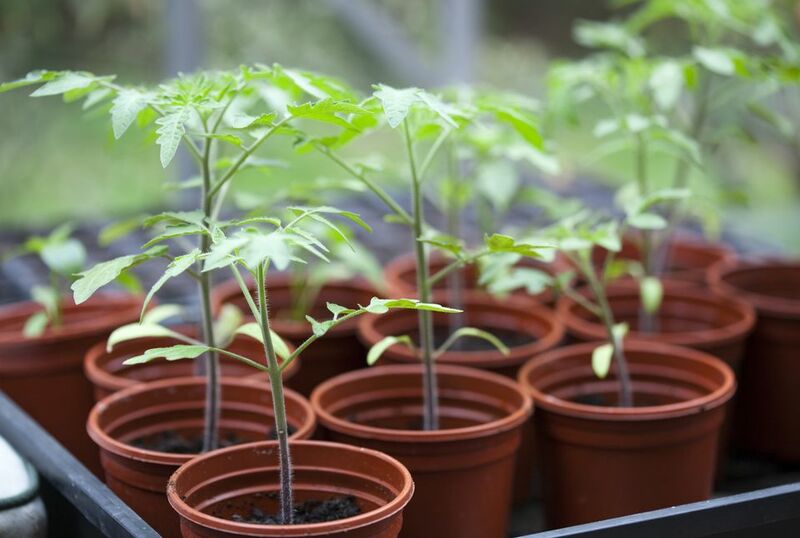 Here are some special tips for saving seeds of your favorite tomato plants. Finally, keep your new seedlings healthy and pest free by keeping a close watch for problems. Act quickly, since there are no natural predators indoors for pests like fungus gnats and aphids and a disease can spread quickly through tender young seedlings and even onto your houseplants, which are susceptible to many of the same problems. How Can I Prevent My Seedlings From Getting Leggy? Winter Sowing: Too Good to Be True?